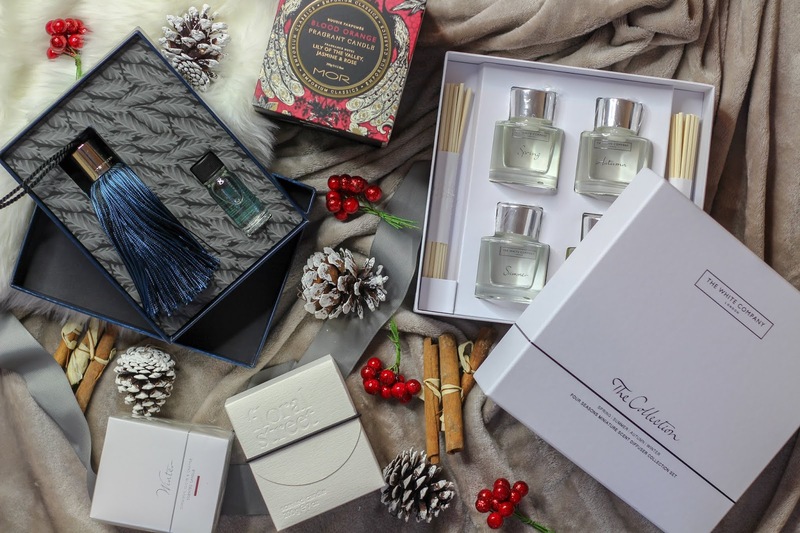 When it comes to Christmas gifting, I think fragrance plays a big part in that. Whether you're gifting someone a scent to wear throughout the upcoming months or fragrance to fill a home, you can give the gift of a fragrance that they'll love at Christmas time. Whilst I think scent can be quite a personal one, as long as you know a little bit about a person and what they like and dislike (try and find out what their favourite fragrance is beforehand for an idea of what they'll like to receive) then a new scent can make the perfect gift. For that reason, I wanted to share a blog post centred around fragrance and the gift of scent. 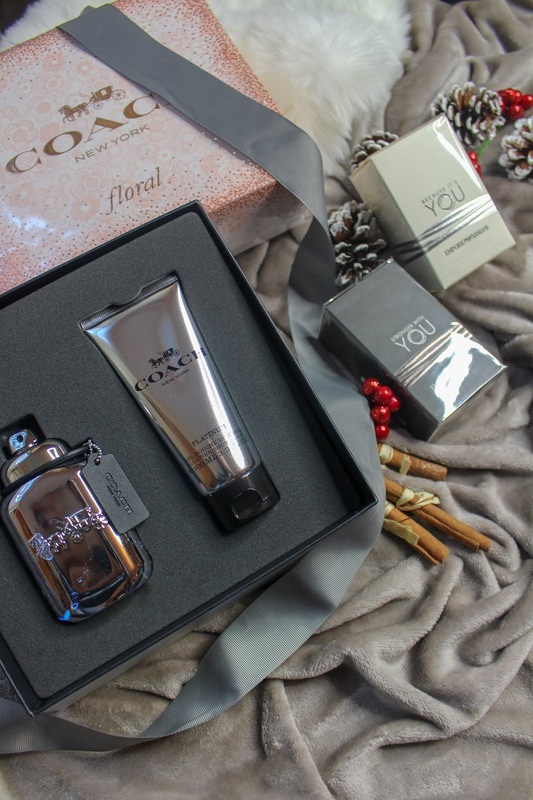 Starting with fragrance for couples, I have never actually gifted fragrances for couples but this year there were quite a few gift sets and new scents aimed at couples that I thought would make lovely Christmas gifts. The new Emporio Armani scents for him and for her are gorgeous! I'll be keeping Because It's You for myself and gifting my boyfriend with Stronger With You (he's already mentioned he needs a new cologne). This duo could be the perfect gift to give to your partner and equally a lovely gift to give a couple at Christmas. 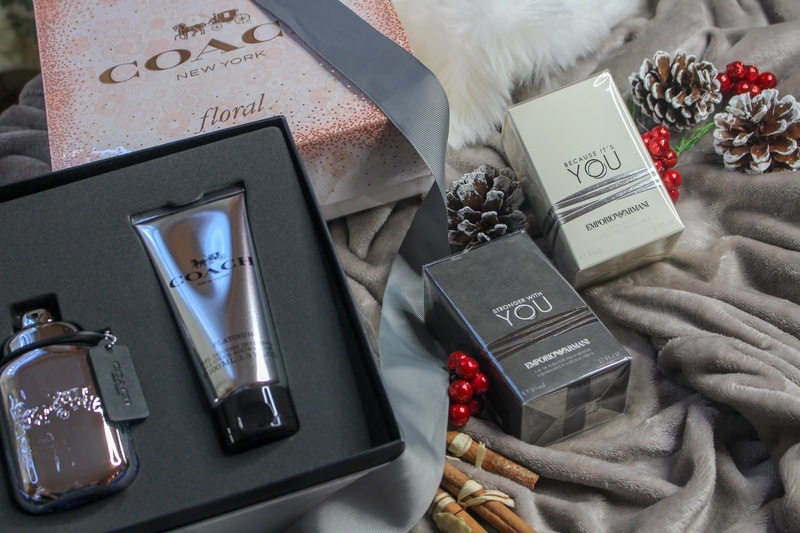 Coach has a selection of gift sets in some of their iconic and latest scents which again, I think would make for a perfect gift to give a couple. 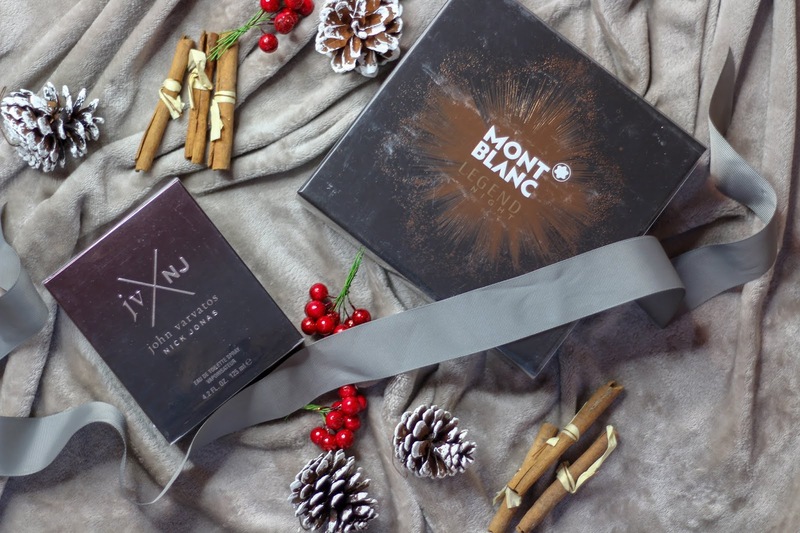 Whilst these aren't necessarily aimed at couples, you can easily mix and match their Christmas gift sets for a couple at Christmas. I picked out Floral for her and Platinum for him (although there are many different scents to choose from which could work for various different couples). Like I mentioned, my boyfriend has already asked for a cologne for Christmas and I actually love picking out a scent for my boyfriend to wear. Gifting men is quite tricky in my opinion and whilst I try to choose gifts I think they'll love - I'll admit, I probably don't always get it right. With that said, I think you rarely go wrong with gifting a guy a new fragrance. Pick out a gift set you'll think they'll love or re-purchase their favourite scent. I would say women are harder to pick a fragrance for, just because there's so much to choose from! Try and find out which scent the person you're gifting prefers something floral or fruity, oriental or spicy. I also think age plays a role in picking the perfect scent. For instance, I would pick out a Missguided gift set for someone in their late teens/early twenties; Juicy Couture for a young professional (who often needs to get ready on-the-go); GHOST for a woman who likes a floral, fruity scent and Narciso for a woman who prefers a more oriental scent. My final mention had to be for home fragrance. 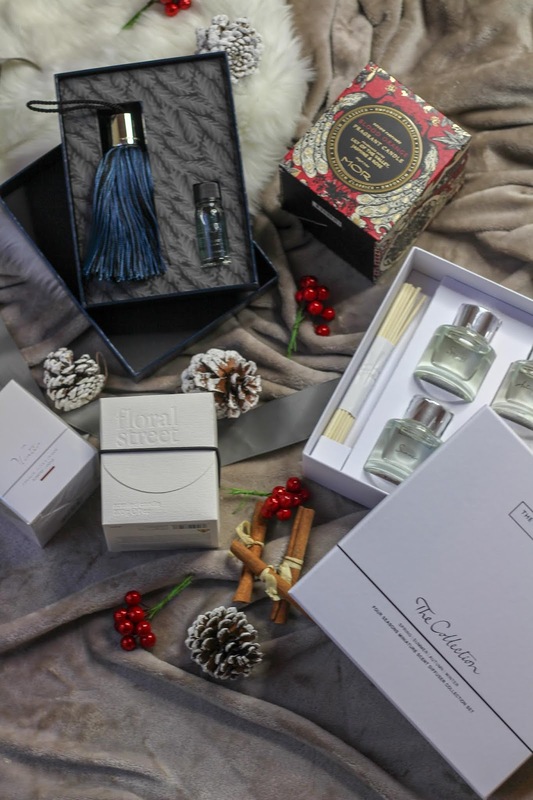 Scenting your house throughout the Christmas period can literally lift your mood (at least it does for me) so gifting a fragrance for the home can actually be an easier option, especially if you don't know too much about which scents your recipient prefers. It's a lovely gift idea for someone who may have just moved house and is spending their first Christmas in their new abode, someone who enjoys lighting a candle in the evenings or just generally someone who you know loves to have diffusers dotted around the house. When it comes to scents for the home, I would choose either a candle or some diffusers (again, try and get a feel for the person, couplehousemates you're gifting beforehand) for around the home. Equally, room sprays and oils could be a lovely addition to a stocking!